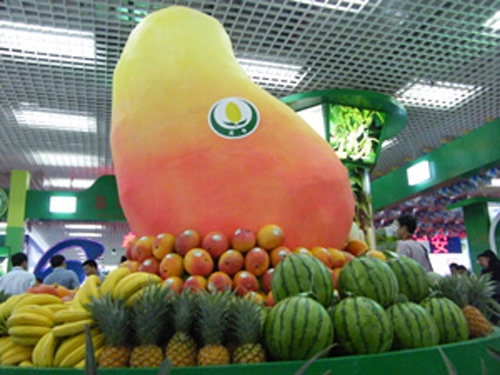 According to Sanya Agriculture Authority, nearly 20 enterprises have been confirmed to set up booths at the 2012 China (Hainan) International Tropical Agricultural Products Winter Trade Fair (also known as Hainan Winter Trade Fair) which is scheduled to be held from December 12th to 15th at the Hainan International Convention and Exhibition Center. This year, about 220 to 240 traders are expected to come and make deals at the fair, an increase of 20% over the last year. The exhibition zone covers an area of 90,000 sqm with 8 major display areas such as the green area, international area, brand area, leisure agricultural area and Hainan special snacks area. The Sanya exhibition hall is located at the No.2 Area of Exhibition Hall C with a display area of 360 sqm. The exhibition hall will feature special tropical agricultural products, agricultural product processing and leisure agriculture. Since it was established in 1997, the winter trade fair has been successfully held for 14 years. It is the most distinctive and influential exhibition for branded agricultural products.